« Philippines Taal Volcano Could Erupt Anytime! FEWW team believes there is a strong probability that the Taal Volcano, a Pelean-type active volcano on the island of Luzon, might erupt this month. 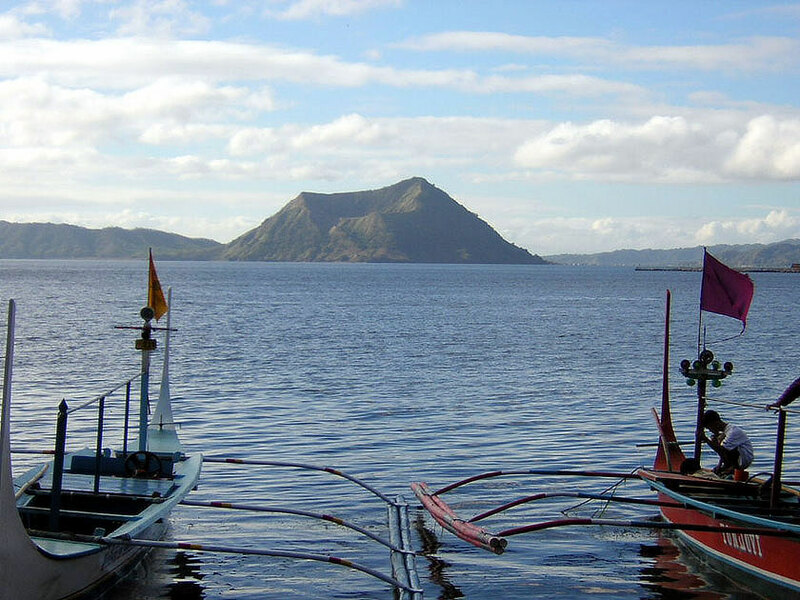 Taal volcano is designated as one of the 16 Decade Volcanoes by International Association of Volcanology and Chemistry of the Earth’s Interior (IAVCEI). Located about 50 km south of the capital, Manila, Taal is surrounded by populated areas. Taal has erupted violently several times (the last eruption was in 1977). The current death toll caused by its activities stands at about 6,000. More seismic activities in the region should be expected. 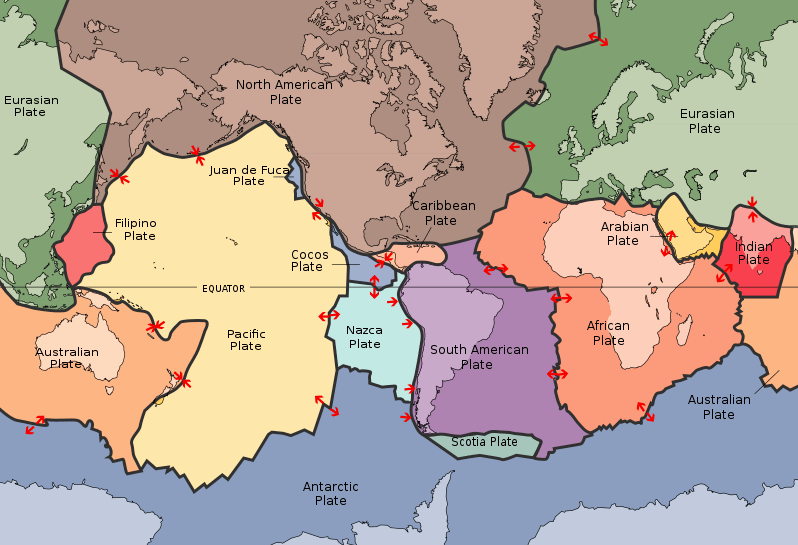 World’s 14 major tectonic plates plus the Scotia plate. Mapped in the second half of the 20th century to explain the observed evidence for large scale motions of the Earth’s lithosphere. The lithosphere is broken up into tectonic plates. The surface of the Earth consists of a further 38  minor plates. Canlaon, a stratovolcano, is located in the north central part of the island of Negros. Last eruption: 2006. Ragang volcano (above and to the right of the center of image) is located in central Mindanao. Last eruption: 1916. Thanks mainly to the Filipino government and its education authorities, no other image of Ragnag Volcano could be found at the time of writing. NASA Space Shuttle image STS61A-40-71, 1985 (http://eol.jsc.nasa.gov/). There are 22 active volcanoes in the Philippines: Babuyan Claro, Banahaw, Bulusan, Mount Biliran, Bud Dajo, Cagua, Camiguin de Babuyanes, Didicas, Hibok-Hibok, Iraya, Mount Iriga, Mount Kanlaon, Leonard Kniaseff, Makaturing, Matutum, Mayon, Musuan, Mount Parker (Cotabato), Pinatubo, Ragang, Smith Volcano, Taal. Will one or both of New Zealand islands break up and sink in the south-western Pacific Ocean? This entry was posted on May 19, 2008 at 12:36 am	and is filed under Climate Change, environment, food, health, Tourism, Travel. 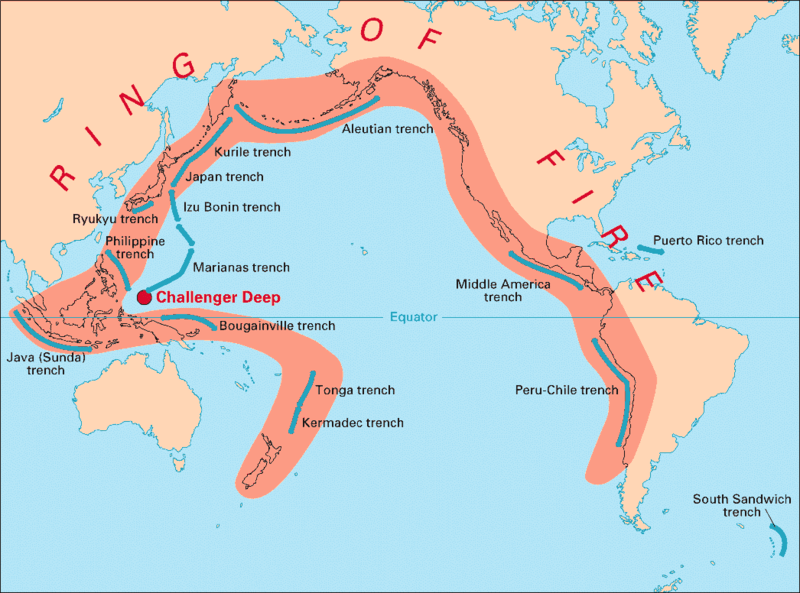 Tagged: acidic lake, Ash, Asia, breaking news, Canlaon Volcano, Chaiten volcano, Collapsing Cities, convergent plate boundary, Crops Failure in China, drinking water, Earth's Interior, environment, epicentres, evacuation, floods, food, Ghost towns, Indonesia, lahar, Lake Taal, landslides, Luzon, Manila, Mayon Volcano, MINDANAO, Pacific Ring of Fire, Philippine, Philippine Plate, Ragang volcano, Santorini eruption, SOUTHERN SUMATRA, Taal Volcano, tectonic plates, VEI, Volcano activity, Volcanolog. You can follow any responses to this entry through the RSS 2.0 feed. You can leave a response, or trackback from your own site. … if there is so much danger of a volcanic eruption any time in Taal , why is it that a development company purchased and still constructing in the entire area of Taal Volcano from the ridge top to nearing the lake . And why are people investing there money hard earned or not . The developers because of their greed do not care if an eruption of Taal takes place . And why did the goverment issue them a permit to develop ? Again also because of greed ! When will this country really realize that of the greed they are saving will not get them to where one should go after there life ! This country is going to hell and at this point and time it already is . Can we not learn the precious value of life and not the temporary pleasures that it gives , can we not no when to much is to much . Can we not measure and be satisfied with what we already have made . At any rate go ahead develop the place and if Taal erupts blame and do the usual stupid goverment investigation that is always done then blame each other till nothing comes out of it . Then when thousands have died , find another place to develop again ! ! ! ! Most of Japan’s nuclear power plants are located withing “striking” distance of one or more active volcanoes. TAAL VOLCANO BULLETIN, 14 April 2011,8:00 A.M. The seismic network around Taal Volcano (14.0000°N, 120.9833°E) recorded twelve (12) volcanic earthquakes during the past 24 hours. 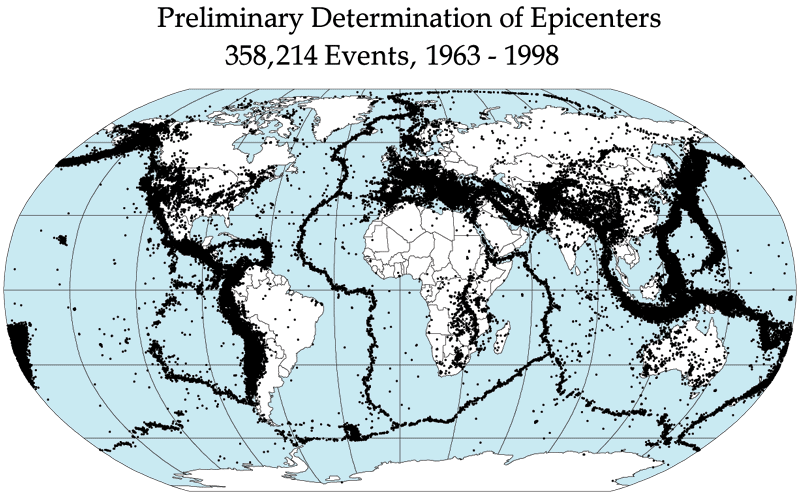 Two of these earthquakes were felt. The first event occurred at 4:32 A.M and was felt at Intensity II by residents in Barangay Calauit at the southeastern part of Taal Volcano Island with an audible rumbling sound. The second event occurred a few minutes later at 4:49 A.M., but felt only at Intensity I with faint rumbling sound in the same area. Water temperature at the Main Crater Lake slightly increased from 30.0°C to 30.5°C. Gas measurements conducted at Taal Main Crater Lake last January, February and March 2011 yielded carbon dioxide (CO2) emission values of 2,250 tonnes per day (t/d), 1,875 t/d and 4,670 t/d respectively. This large increase in C02 concentration indicates gas release from the magma at depth. Result of the ground deformation survey (precise leveling) conducted around the Volcano Island last 05-11 April 2011 showed that volcano edifice is slightly inflated as compared with the 02-09 February 2011 survey. Alert Level 2 is hoisted over Taal Volcano with the interpretation that magma has been intruding towards the surface, as manifested by CO2 being released in the Main Crater Lake and increase in seismic activity. Hence, PHIVOLCS advises the public that the Main Crater, Daang Kastila Trail and Mt. Tabaro (1965 -1977 Eruption Site) are strictly off-limits because sudden hazardous steam-driven explosions may occur and high concentrations of toxic gases may accumulate. Breathing air with high concentration of gases can be lethal to human, animals and even cause damage to vegetation. In addition, it is reminded that entire Volcano Island is a Permanent Danger Zone (PDZ), and permanent settlement in the island is strictly not recommended. DOST-PHIVOLCS is closely monitoring Taal Volcano’s activity and any new significant development will be immediately relayed to all concerned. – BULUSAN VOLCANO BULLETIN,14 April 2011,8:00 A.M.
– MAYON VOLCANO BULLETIN, 14 April 2011, 8:00 A.M.
TAAL VOLCANO BULLETIN 11 April 2011 8:00 A.M.
Taal Volcano’s (14.0000°N, 120.9833°E) seismic network recorded seven (7) volcanic earthquakes during the past 24 hours. Water temperature slightly increased from 30.0°C to 30.5°C. Gas measurements conducted at Taal Main Crater Lake last January, February and March 2011 yielded carbon dioxide (CO2) emission values of 2,250 tonnes per day (t/d), 1,875 t/d and 4,670 t/d respectively. The remarkable increase in C02 concentration indicates anomalous gas release from the magma at depth. Result of the ground deformation survey (precise leveling) conducted around the Volcano Island last 05-11 April 2011 showed that volcano edifice is slightly inflated as compared with the 02-09 February 2011 survey. TAAL VOLCANO BULLETIN, 01 March 2011, 8:00 A.M.
Taal Volcano’s (14°00.1’N, 120°59.6’E) seismic network did not record any volcanic earthquake during the past 24 hours. Field observation conducted last 22 February 2011 at the eastern sector inside the Main Crater Lake (via Calauit) showed that steaming activity at the thermal area was weak. The crater lake level further receded from 0.68 meter to 0.60 meter. The lake water temperature slightly lowered from 30.70C to 30.5 0C while the pH value became less acidic from 2.86 to 2.97. Results of the ground deformation survey (precise leveling) conducted around the Volcano Island this February showed a slight inflation as compared with the December 2010 survey. Alert Level 1 is still enforced over Taal Volcano. This means that a hazardous eruption is not imminent. However, the public is reminded that the Main Crater should be strictly off-limits due to sudden occurrence of steam explosions and accumulation of toxic gases. The northern portion of the Main Crater rim, in the vicinity of Daang Kastila trail, may also be dangerous when increased steam emission is reactivated along existing fissures. Moreover, the public is also reminded that the entire Volcano Island is a Permanent Danger Zone (PDZ), and permanent settlement in the island is strictly not recommended. thanks for all your info here… I’ll keep on praying for Philippines! Thaaaaaank-You! This helped my so much! Kristine – thanks for visiting the blog. Would you care to share your story with our readers?